Women Entrepreneur in Nepal â€“ How Can They Get to The Top? Women in Nepal and even those outside of it have rarely made it to the top of food chain. When we look at the spearheads of top organizations or reputable companies, seldom do we find women among the line of CEOs and COOs of those companies. So what has been keeping the talented women to reach the top? A study conducted by KPMG, 30% Club and YSC unveils thoughtful insights. Men and women have same “push and pull” factors. They have same aspirations, same leadership traits and share same factors that attract to or repel them from a job. However, there are little things that go a long way in determining the outcome – the outcome of women being very little in top management. Men starting their career in FTSE 100 company is 450 percent more likely to reach the top. Women are half as likely to make it there and 400 percent less likely to leave the company. So what can we do to bring about a more balanced environment? How to balance the scale of gender? Following are some ideas to consider. Majority of companies are doing a good job to link employers with the performance of their employees, but it’s still not enough. A need to collect, process and share data to provide valuable insights is still there. This will make the employers better capable of analyzing their employees, gauge their performance and promote the right person – even if that person is a woman. Employers need to act like true leaders and provide women with equal opportunities to interact with their senior managers. Women joining an organization with an aspiration of becoming entrepreneurs one day need better conversation with their seniors. The top management needs to understand this and provide them with opportunities where they are listened. To make the process more transparent so more women can headline as entrepreneurs, the board of directors must make the board responsible and accountable. When a member of board becomes answerable for his actions, the board will become more efficient. The unserious members will be replaced by those who can cope with the responsibilities. This will give hard working women a better chance to become the main act for an organization. The owner of 30% club and a woman entrepreneur Helena Morrissey says “action” instead of “reaction” is required when it comes to talent hunt, management and career development. This is what will make women balance the scale of gender. KPMG’s senior partner S. Collins says that the peers, the staff and the rest of the team must be convinced that this is a legitimate cause which has omega level priority. In a nation like Nepal where the people are living their lives with predefined traditional roles, such a task cannot be left alone on the shoulders of existing women entrepreneurs in Nepal. Men of Nepal – especially those having the power to change – must step forward and act as an inspiration by introducing fair systems and show determination and seriousness to resolve this issue. If the top of the line men that claim women empowerment is important are as serious as they sound, they must display it with their deeds. 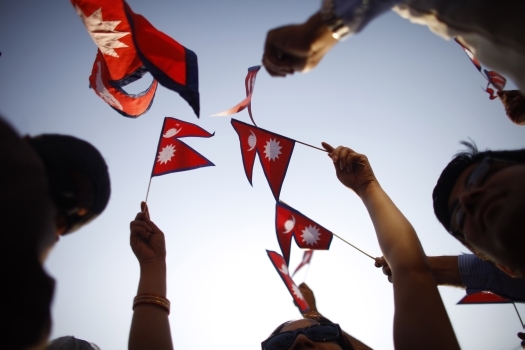 Gender Inequality in Nepal is a serious concern, especially at the top level. To leave this concern behind, efforts from men, women, the government and private organizations are required.